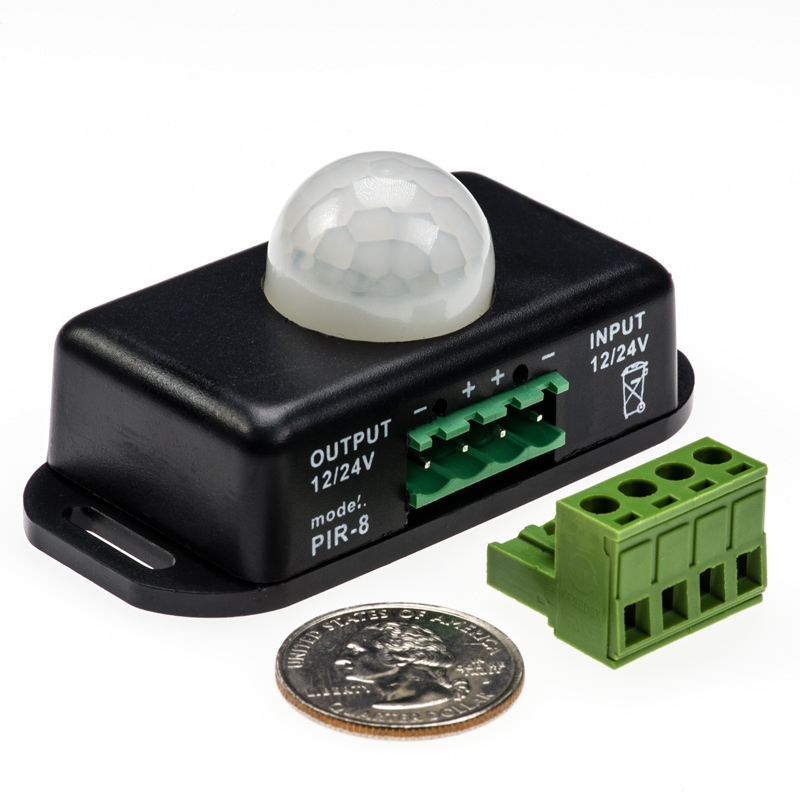 This Mini PIR Sensor automatically powers on connected 12 VDC or 24 VDC LED lights when human motion is detected. 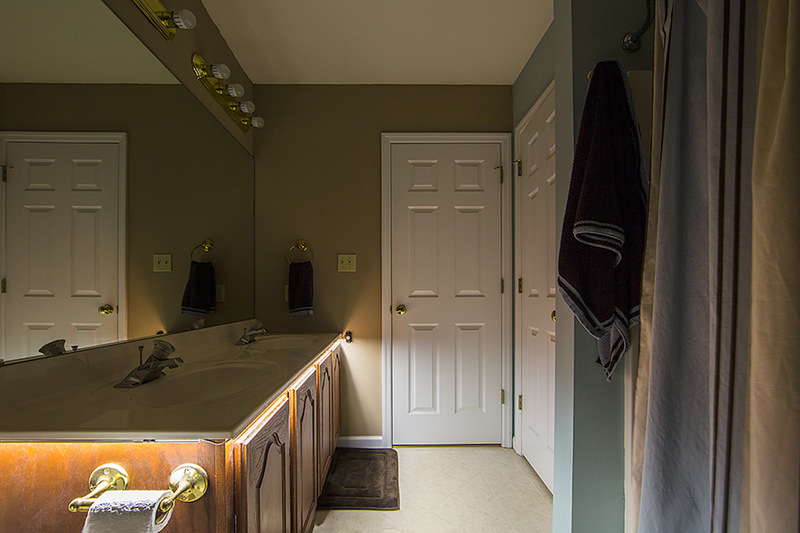 The sensors will power on lights at night or during the day, and an adjustable dial allows your lights to remain on for 1, 3, 5, 8, or 10 minutes. 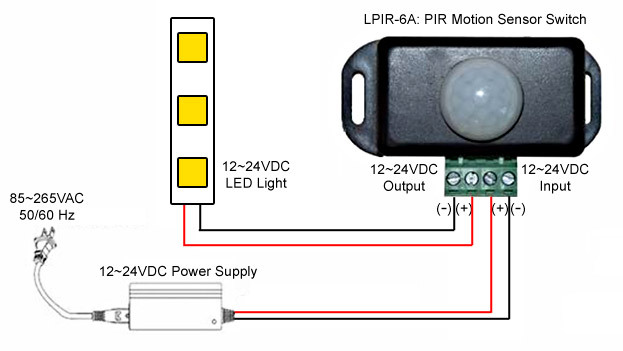 Motion detection range is within 8 meters (26') of the PIR sensor. 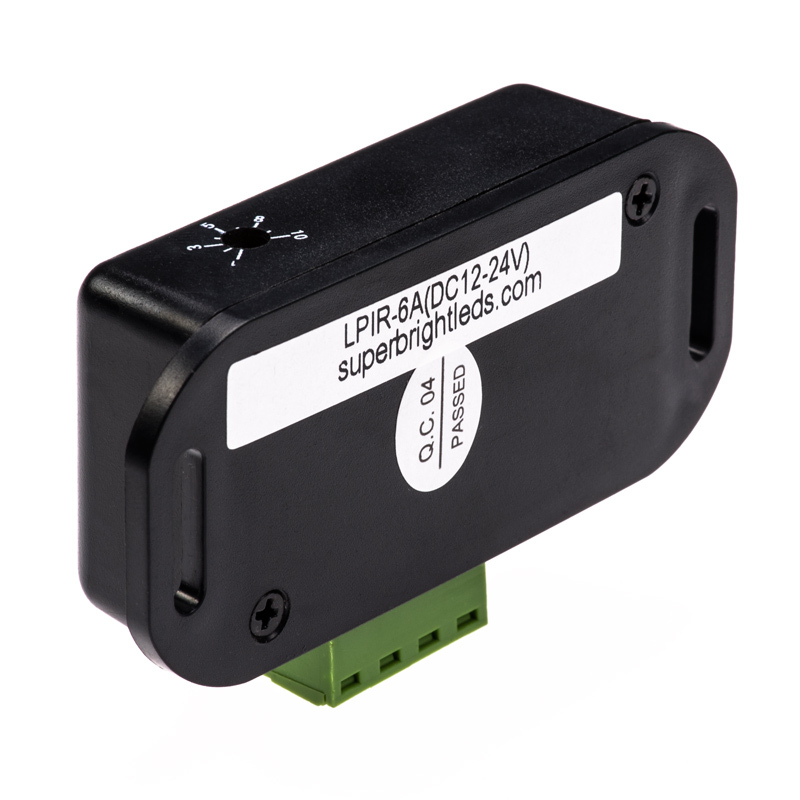 The single-channel sensor has a 6-Amp maximum load and operates within a 12-24 VDC range. Price for each. i use this great little switch for kitchen counter top lighting--turns led lights on and off reliably,i easily spliced it in where the original switch was and positioned it under the cabinets so you can`t see it when standingby the counter--lights turn on as soon as we walk into the kitchen--works perfectly--just about any body should be able to incorporate this into a 12 volt led lighting setup with the included instructions--highly recommended. 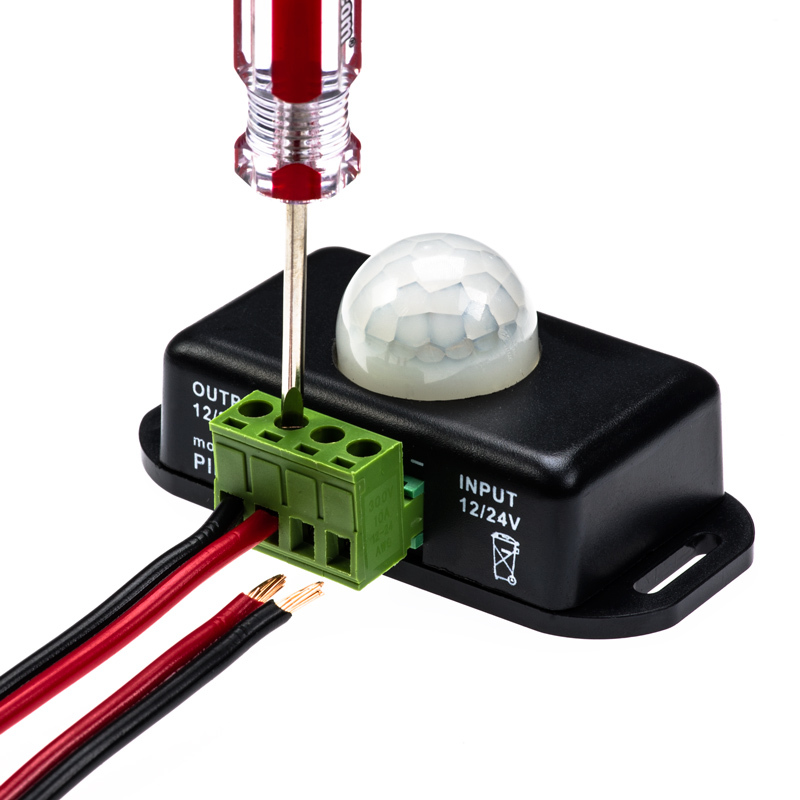 Great little device to modify a circuit with! I use this for my "overhead fans" in the golf cart industry. 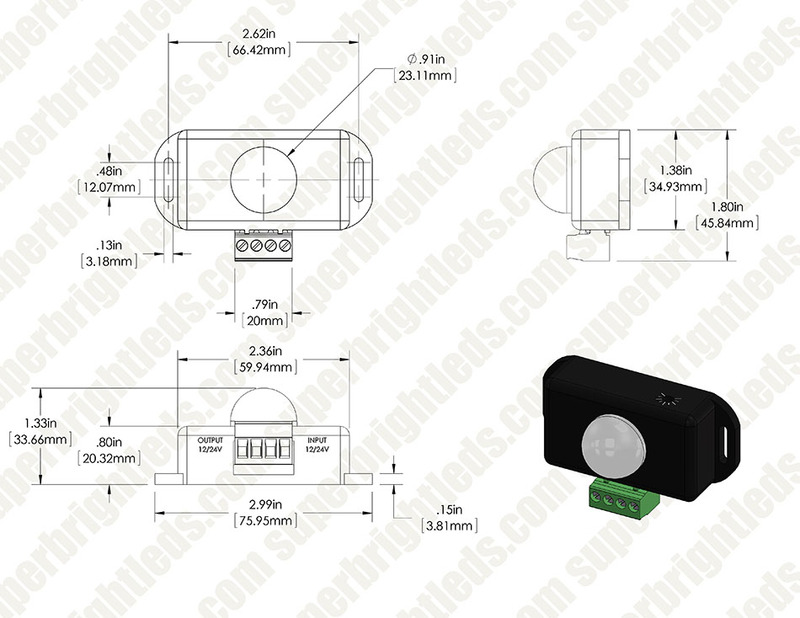 The fans draw 5-12 amps depending on size. 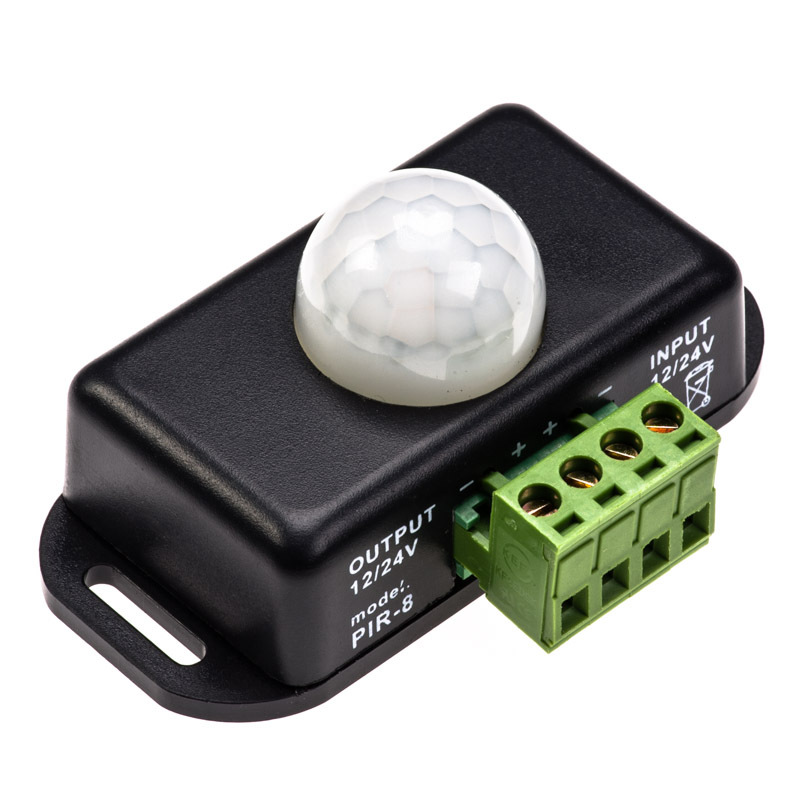 Using the motion sensor to engage a relay works wonderfully. Incidentally for my first build i decided to use the side emitting UP rated LED strips to line the inside ring around the fan blades here. engaging the light any time the fan is activated. Fantastic results for a very cool design. I also ran a 2 ohm resistor in series with the fan to reduce noise and violently wind force as the fan default to about 1500 cfm. The timer is not accurate but that is minor, a little tweaking you will get it set to where you want it. Other than that it work quite well. It has an adjustment to set the time that it is on that is marked from 1 through 10 minutes. When it is set for one minute it actually stays on for 2 minutes which is longer than I would prefer. 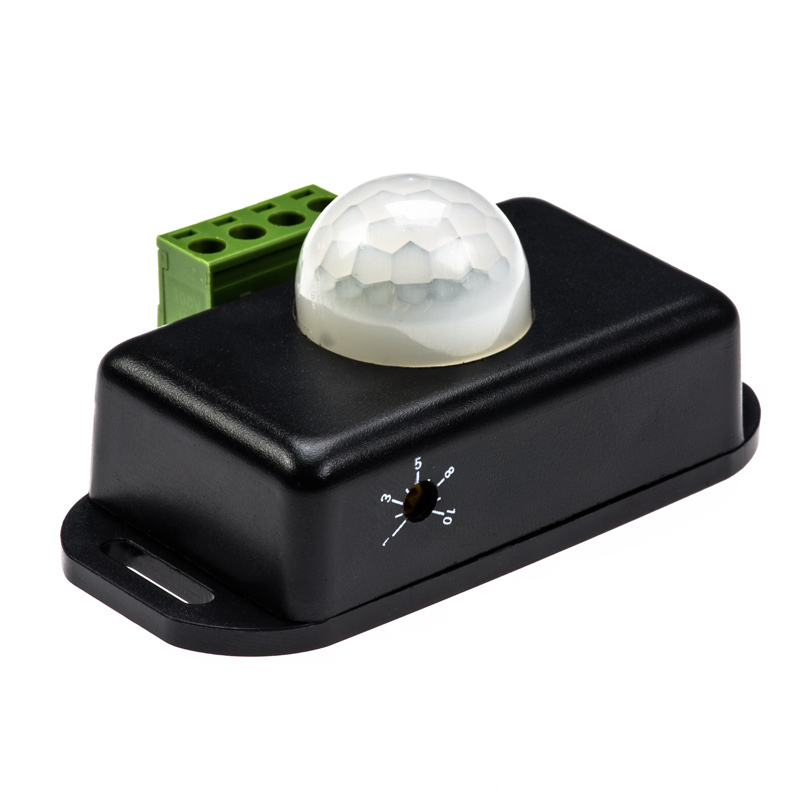 Other than that this appears to be a relatively well designed sensor. 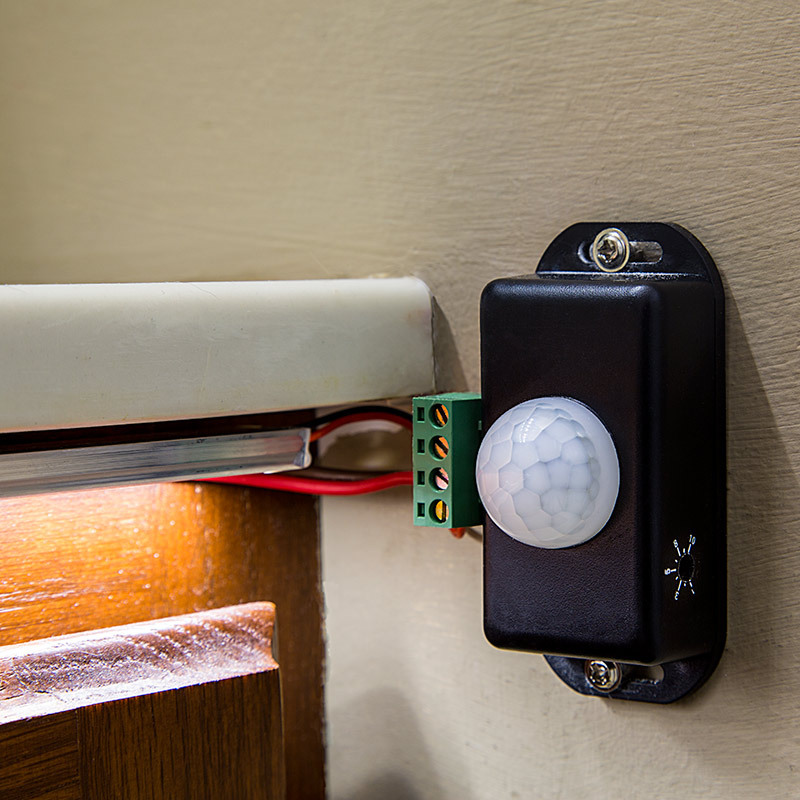 I have it installed under our kitchen cabinets and it is nice to have them all come on automatigally when I reach under the cabinets.